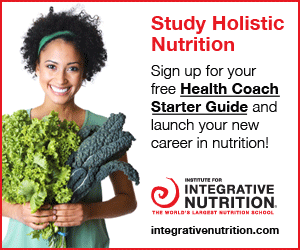 When I discovered The Institute for Integrative Nutrition, I had already began taking some pre-requisite classes for a Masters program in Science and Nutrition. 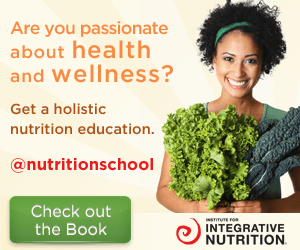 I knew that I wanted to work with people to better there health (and learn about my own health in the process), so I thought that a Masters in nutrition was my only option… until I learned about the program at IIN. The year that I was in school at IIN was a year of transformation for me. My perspectives on health and wellness began to shift and I realized that we are all different and beautiful individuals with different needs. I learned that health wasn’t something that could be figured out scientifically, it is something that we learn by simply listening to our own bodies. This program changed my life. While learning how to be a health coach, I was able to create health, happiness and passion in my own life. I was taught how to build a career around something I am EXTREMELY passionate about, and now I am able to work with others and watch them transform their health like I did. This program is extremely valuable… You can create a successful business with this education, so it is not a surprise that the tuition price is about to increase. If you enroll by Friday, July 26th and use my name (Amanda Carney), you will receive $1,000 off the tuition cost. (The offer is $500 off by using my name and an extra $500 off if you pay in full when you enroll). To take advantage of these savings you can call 1-800-733-1520 OR you can email Blair at CoachBlair@integrativenutrition.com and tell her that Amanda Carney referred you. Email me at amanda@myediblesunshine.com with any questions. Because I have SO MUCH LOVE for this program and all that it taught me, I feel obligated to share my story with anyone who might benefit from it. If you have any questions, please email me at amanda@myediblesunshine.com.